Television presenter widely known for his work on VH1's Big Morning Buzz Live, CBS's Entertainment Tonight, and MTV's America's Best Dance Crew. He is also well remembered for his many spots hosting the Australian Video Music Awards. An active DJ, he also performed at the 2006 AVMA after party, amongst other popular events. He began his career in 2003 after winning a competition to become a MTV Australia VJ for Homebuzz. He won the 2006 FOXTEL Celebrity Poker Tournament and donated $50,000 to the Starlight Foundation. He was born in Penrith, Australia to Ross and Diane Dundas. 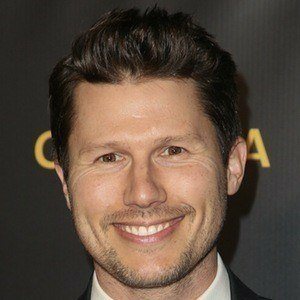 Outside of his work as a presenter, he's been known to do some acting and made his screen debut in Fool's Gold with Matthew McConaughey and Kate Hudson.